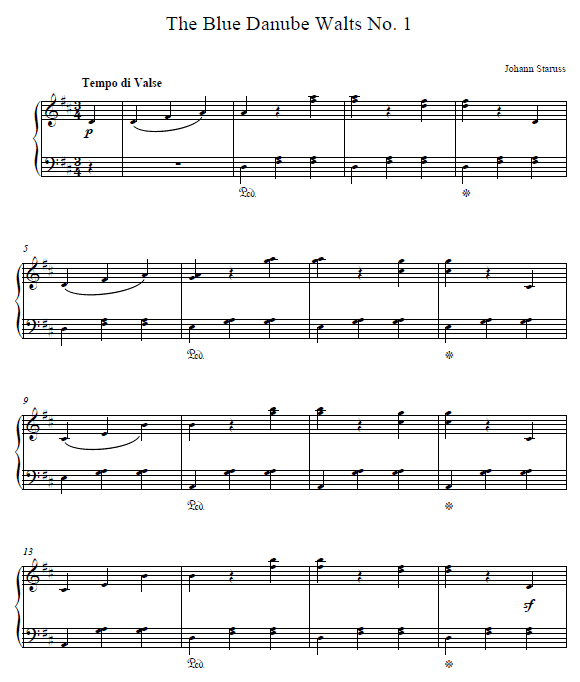 Here's an easy piano version of one of the most famous pieces by Strauss, the Blue Danube. My students are thrilled when they discover they are able to play this piece at their first year of playing piano. Make sure you print out the piano sheet under this piano tutorial. It will show you how to play the song exactly as I did at the beginning of this piano tutorial. Click here if you haven't signed to Piano Playground, our free E-zine yet make sure you do that in order to get the username and password codes for the Blue Danube Waltz Sheet Music I provide here under. If you experience problems reading these piano notes you should definitely check out the Rocket Piano Ultimate Learning kit. 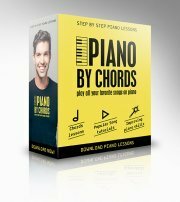 Rocket Piano provide an amazingly handy and effective piano course on various issues such as reading piano notes, playing piano by chords, piano technique and more.